Handmade to order, this full size chaise longue allows for gentle rocking both side to side and front to back, providing a sense of effortless floating. Suitable for indoor/outdoor use. Standard wait time is 6-8 weeks. This lounge chair is shipped in 4 pieces. Assembly is achieved by pressing all of the parts together. 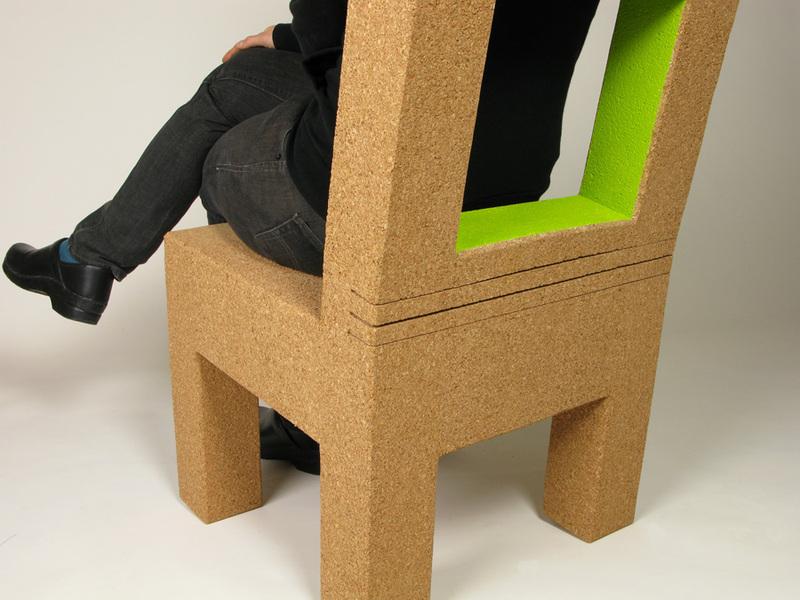 The cork seat is both stretchy and grippy, holding the legs and back firmly in place. Suitable for both indoor and outdoor use. Standard wait time is 4-6 weeks. This bench is shipped in 5 pieces. Assembly is achieved by pressing all of the parts together. The cork seat is both stretchy and grippy, holding the legs and back firmly in place. Integrated into either side is a small side table. ​Suitable for both indoor and outdoor use. Standard wait time is 2-4 weeks. A simple chair with a simple twist, inspired by the movement of Shaker dining chairs. The back rest features relief cuts that allow for a few degrees of tilt and movement, adding support and spring. Available in both adult and children's sizes. 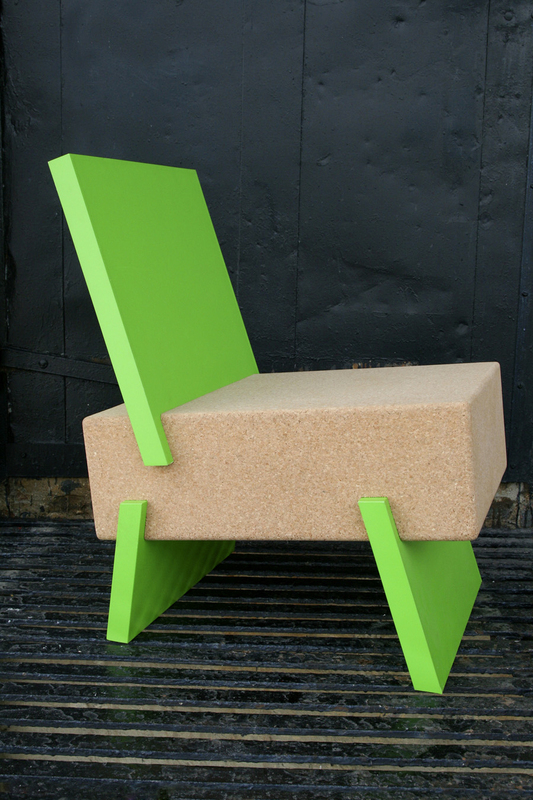 ​This small chair is the result of our studio experiments into casting recycled cork. A single volume formed from granulated corks, these children's chairs have a smooth, sanded texture on the sides and a rough, engaging texture on the front and back. ​74" H x 22" W x 22" D - White oak, FSC-certified plywood, paint.